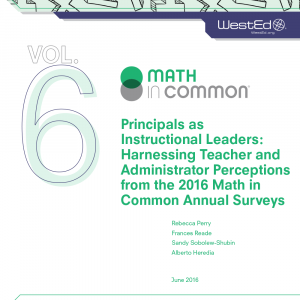 Rebecca Perry is a Senior Program Associate with WestEd’s Innovation Studies program. 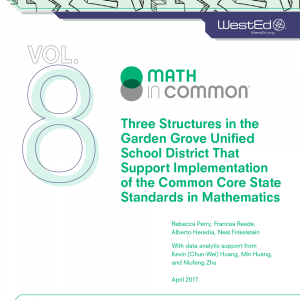 She primarily works with the Math in Common project, a five-year initiative drawing together 10 California school districts as they are implementing the K-8 Common Core State Standards in mathematics. 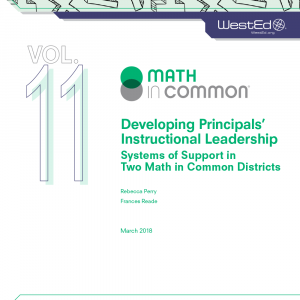 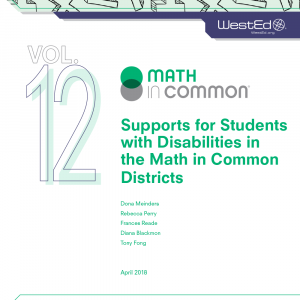 WestEd is providing developmental evaluation services to support member districts to meet implementation objectives and to provide information for researchers and policymakers interested in mathematics reform. 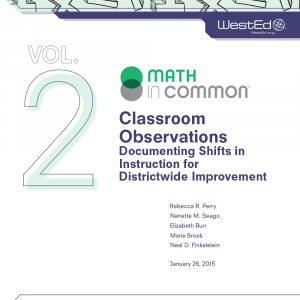 Identifying and coding instances of learning during classroom and teacher professional community discussions. 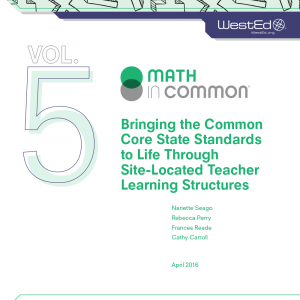 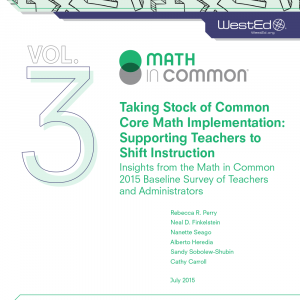 Prior to joining WestEd, Perry worked at the Mills College School of Education, as co-Principal Investigator for the Lesson Study Group, where she conducted research on lesson study implementation and the use of lesson study and mathematical content materials to support learning. 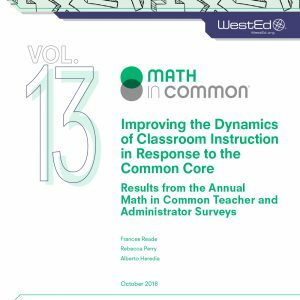 Perry’s research has been published in peer-reviewed journals such as Educational Researcher, Journal of Teacher Education, and Journal of Educational Change. 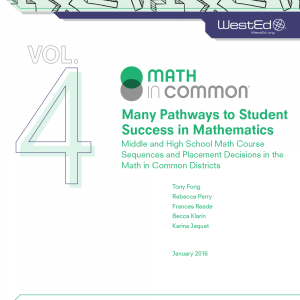 One study with the Lesson Study Group was one of the two professional learning programs out of 643 reviewed by the Institute of Education Sciences’ What Works Clearinghouse found to show successful impact on student achievement. 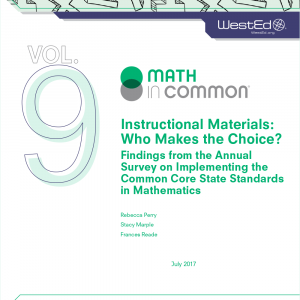 Perry received a BS in cognitive science from the Massachusetts Institute of Technology and a PhD in education administration and policy analysis with a minor in organizational theory from Stanford University.